Vertical Loading CD Player. CD-R/RW Compatible. 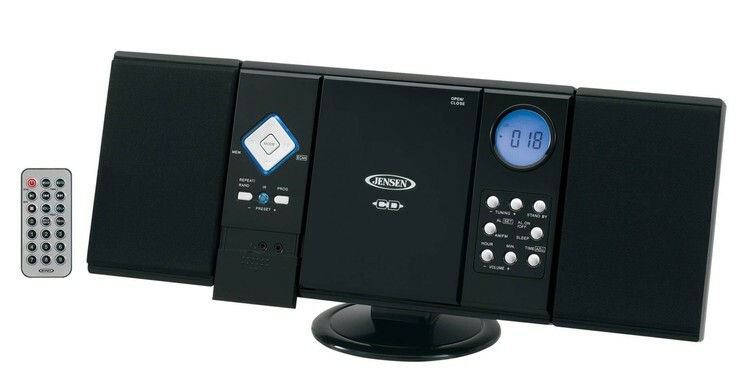 AM/FM Receiver with Digital Display. Multi-Function Blue Back Lit LCD Display. Auxiliary Line In Jack. Programmable Memory. Alarm Clock. Stereo Speaker System. Stereo Headphone Jack. Wall Mount Kit Included. Remote Control Included.